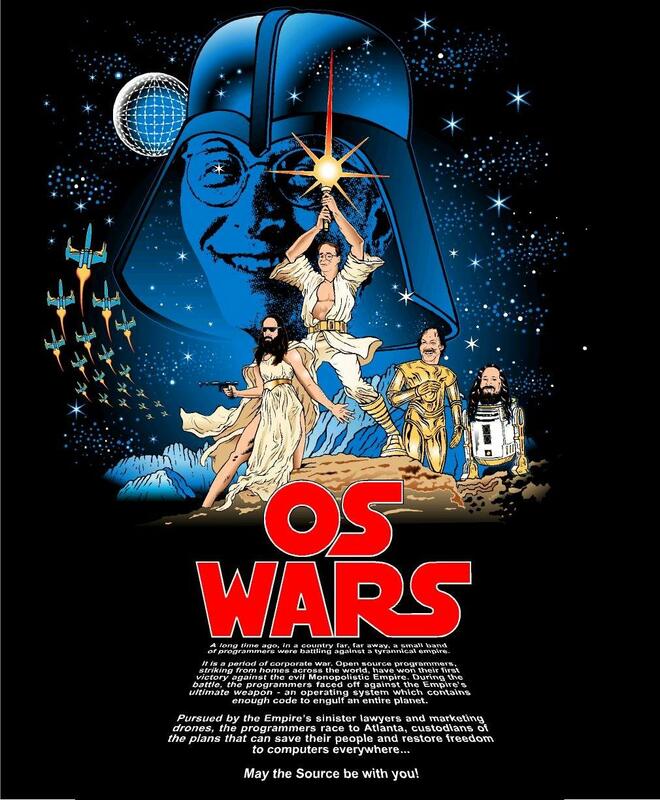 The Open Source Movement may sound like a geeky cult but is in fact a way of working that places emphasis on collaboration and an open view of ownership and IP. To the technically-minded, open source refers to single developer or core group producing a fundamental piece of programming and then donating the source code to all comers. The other developers then test, tweak, improve and add their contributions to the original program. The Linux operating system, now a genuine rival to Microsoft, was developed in this way. However, open source is starting to break free of its technical routes and is cropping in other areas. "We wanted to use the collaborative nature of open source, where more people filling holes makes it more stable and effective. We wondered how it would work in a political campaign." The open source ethic is also growing among US musicians in the shape of the Creative Commons Licence. The new contract type was established in the US by a lawyer called Lawrence Lessig who felt copyright law was stifling creativity among artists. The result is that musicians are free to collaborate in new ways whilst declaring, ‘some rights reserved’. Big names such as the world-famous musician and composer Gilberto Gil, who now serves as the Brazil's Minister of Culture, are proponents. The world of branding and communications is also starting to see examples of open source behaviour. When Budweiser launched the hugely popular Whassup! campaign, consumers immediately started taking the themes of the campaign and making their own versions. Groups of Rabbis, English gentlemen, superheroes and South Park characters started appearing all over the internet taking the Budweiser brand into new and exciting areas that would have been off-limit and impractical for Anheuser-Busch to create themselves. (See http://trevc.net/whassup/hidden.html). When considering how to actively benefit from the use of open source principles the first step is to have the right mindset. This can be difficult as compared to more linear development styles, open source can seem anarchic and disruptive. Key to the Whassup! open source campaign was that Anheuser-Busch were happy for people to spoof their lovingly crafted advertisements (as long as they referenced it as Bud). The brewer knew that their marketing idea would spread much further and take on forms that would be very attractive to consumers. However, that apparent lack of control goes against a lot of current marketing practice run to brand guidelines by brand guardians. "It's not marketing and branding in the sense of demanding complete fidelity to a very succinct message, saying you can't waver on font, color or verb. We've allowed for local-interest, geographic ownership of the campaign. That necessarily runs counter to [brand marketing]. We have a flowering of different brands. If this was a branding contest, we'd be losing." It is also important not to focus too greatly on technology. Zephyr Teachout has no interest in technology for technology's sake. "We want the simplest, dumbest tools we can get," she says. "The idea is to get people working, not to dazzle them, and to get their feedback on what could be done better as quickly as possible". One helpful approach is to think of open source as being a way in which company and digital consumers cooperate to create something both parties benefit from. The most powerful example of this is eBay whereby the millions of people who use the company's services ARE the company's services. In fact the company’s CEO, Meg Whitman, sees her job not just as a chief executive, but also partly as something like a mayor running a town-hall meeting. A very open source concept. Getting your own customers to determine the direction of your brand, with limited central control, may seem like a crazy idea. However, Howard Dean, Anheuser-Busch and Meg Whitman are working on the theory that their supporters and customers are bright, intelligent people who can help them build campaigns, brands and businesses. This process creates huge amounts of loyalty. Does that sound so crazy ? This article, written by Collaborate Marketing Director James Cherkoff, for the Financial Times, appears as the 'Creative Tensions' column today. Digital technology is making consumers much more powerful and difficult to deal with. Some digital consumers are fighting back against a tide of increasingly intrusive marketing. Others are grouping together in digital packs to take issue with industries they dislike. Digital technology allows corporates to gorge on detailed information about consumers and target them with ever greater accuracy. But, increasingly, it allows consumers to hide from their attention and go ‘ex-directory’. We are not talking about a little bit of channel-hopping or tea making when the ads come on in. Oh no, it’s gone hi-tech and is only going in one direction. Personal Video Recorders (about to bounce back in the shape of Sky+) remove TV ads and wreck the schedules that provide advertisers with their shop-front; web ad-blocking software filters out banners, pop-ups, cookies and anything else that corporates try to land on a hard drive (Jupiter Research reckon high-income males are the biggest fans); signing up to the Mail and Telephone Preference services means databases must stop targeting you. Or ‘don’t call us, we’ll call you’ as the new digital consumer might put it. And the authorities are on the consumers’ side. The recent EU Directive on Privacy and Electronic Communications may have been derided as ineffective against evil spam but it has helped established opt-in as the norm. While opt-in is mainly associated with email it could become increasingly applicable to other media as digital technologies give the individual power over which companies they enter into dialogue with. Soon, those who don’t fancy opting-in to the messy world of online advertising, will be able to subscribe to Guardian Unlimited’s advert-free edition. And if the new digital consumer can be choosy on an individual basis you should see them when they get together! It probably started with a group of early digital consumers who, attracted to each by their frustrations with Microsoft, came together in virtual communities. Led by Linus Torvalds, they worked together online to create the Linux open-source operating system which Bill Gates has identified as his biggest competitor since IBM. More recently, we’ve seen the rise of peer-to-peer downloading communities, which are basically groups of digital consumers who think that recording labels charge too much. By getting together in their millions, using Napster and Kazaaa, they stuck two fingers up at artist copyright, brought the recording industry to its knees and demanded that it tried harder. After trying to sue anyone and everyone, including small children, the industry has realised they are no match for the new powerful digital consumer. They are now are busy doing deals with the new much cheaper iTunes and ID2 services that digital consumers like. Gone are the times when a corporate just had to commission a 30 second slot, show it on Eric and Ernie, and sit back as 30 million passive consumers watched with wide-eyed gratification before running out to stock up their shelves. Today it’s necessary to show the digital consumer respect and work with them in new ways. When Budweiser’s lovingly-prepared Whassup! campaign was trashed, spoofed, re-edited and morphed by digital consumers into home movies featuring rabbis, grandmothers and geeks, the company didn’t call the lawyers. They realised they had engaged the new digital consumer in a new ‘open-source’ style and sat back while huge numbers of people extended the brand into exciting places it had never been. The digital consumer is a key part of what we call Internet Culture. We don’t understand all the implications of this new consumer but we do know they aren’t going away. Dean Howard's US Presidential campaign is an inspiring case study for this blog in its search to understand a new era of marketing. It is a great example of open source branding where people are invited into a massive conversation and a campaign that they can help drive. Secure the 2,159 delegates needed to win the Democratic nomination in July; secure the 270 electoral votes needed to win the White House in November. Raise more than $45-million limit to carry it through the primary season, making its gamble on declining federal matching funds pay off. Use digital networking to create an army of volunteers. So far, more than 148,000 people have used an electronic meeting tool to become involved in the campaign. Use Internet tools to build support. So far, more than 86,000 letters to undecided voters have been generated by individuals using these tools. Dean himself discourages the language of marketing, yet this is marketing of a new sort. "It's not marketing and branding in the sense of demanding complete fidelity to a very succinct message, saying you can't waver on font, color or verb," says Teachout. "We've allowed for local-interest, geographic ownership of the campaign. That necessarily runs counter to [brand marketing]. We have a flowering of different brands. If this was a branding contest, we'd be losing." Consultant to the campaign, Zephyr Teachout has no interest in technology for technology's sake. "We want the simplest, dumbest tools we can get," she says. The idea is to get people working, not to dazzle them, and to get their feedback on what could be done better as quickly as possible. Advisers to the campaign admit that a lot of the campaign's principles have been developed in books such as David Weinberger's "Small Pieces Loosely Joined," which explores the role of individuals connected by the Internet; "The Cluetrain Manifesto," by Weinberger, Doc Searls and Christopher Locke, which describes how to think of the way markets work in the online world; and "Smart Mobs," by Howard Rheingold. This blog will be keeping a close eye on this campaign. Many lessons to learn for the modern marketeer. People who have not used online marketplaces like eBay are often suspicious of whether people will honour their online promises once they log off. I have always been plesantly suprised by eBay transactions. Not only are the goods delievered promptly but are often accompanied by a little compliment slip. But despite my happy experiences I was surprised to see quite what a trustworthy marketplace eBay is. In 2002, 668 million products were listed on eBay (just the US version I think). Of that incredibly large number a mere hundredth of one per cent fell foul of dishonest practices. Whilst still representing 66,800 people, it means that if you were to buy 10,000 times items from eBay you could expect to receive 9,999 packages. I contrast this very high level of trust to the way people feel about corporations today. Just one example (albeit a big one) of corporate misbehaviour at Equitable Life led to 800,000 people losing out. And often in a way that changed the course of their lives for the worse. This has led to a very high level of cynicism about corporations of all kinds. The most dramatic example of this being direct action anti-globalisation groups (some of the most serious digital consumers around). Does this mean that digital consumers trust each other (even total strangers they will never meet) in a way that they don't trust corporations ? 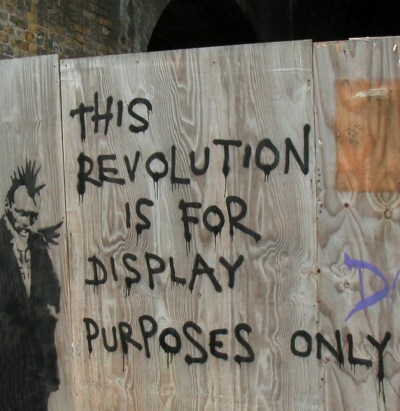 And what does that mean for the modern marketeers ? Last week's speech by Steve Jobs at MacWorld showed how he remains as one of the most modern marketing minds in the game. The speech illustrated his strategy of providing people with the simple technology they need to start creating their own content. 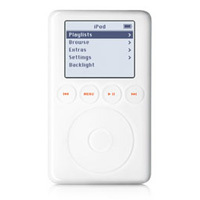 Or in other words he is tooling up the digital consumer that this blog has described with iPods, iTunes, iMovies and iDVDs. This pretty much puts him on collision course with every entertainment and music excutive in the world but I doubt he cares. The iPod has shown him that he has the consumer on his side and that's all that matters. So what does a world of tooled up digital consumers mean for other marketeers trying to sell people shampoos, washing powders, cars and credit and create brands of major value ? Hard to say at the moment. But it will probably mean that those marketeers who provide people with things that they can do and campaigns that help people do what they are already doing will succeed. So Coke's mycokemusic looks like a glimpse of the future. The reaction of many corporates to the new powerful digital consumer is to try and use the law to hold on tighter and tighter to their product and their margins. Historically, copyright law has been used to ensure a balance between protecting the entrpreneur/artist's ownership and the consumer's right to use a product as they wish. And also (according to the US constitution no less) to promote the, 'Progress of Science and useful Arts'. But increasingly copyright law is working in favour of the copyright owner. And while protecting poor suffering artists sounds good in theory, copyrights are of course often held by corporates who 'own' the artists. Of course the most famous proponent of this approach of this is the all powerful Recording Industry Association of America (RIAA) and their reaction to the peer-to-peer downloading of music by digital consumers : sue everyone. Despite their belief that this has actually worked (rather than just preventing anyone from admiting to it) the reality is that they are now doing deals with iTunes and ID2 that digital consumers think are a fair deal. In the US this has led to the creation of a group called digitalconsumer.org. More than 50,000 strong, the group is concerned by recent US legal changes. While, it's obviously legal to lend a physical book to a friend, copyright restrictions on electronic books make such lending illegal. Making a copy of your own CD for personal use was legal in the past, but it is no longer legal if the CD has been copy-protected (and the record labels have announced their intent to copy-protect all future CDs). Recording a show to watch later used to be legal, but with new digital TV standards, such recording will only be legal if the TV station explicitly gives you permission (and broadcasters have already announced that they will not allow recording of "premium" shows). In certain cases, it can even be illegal to fast-forward through advertisements at the beginning of a DVD that you've purchased! The groups stance is encapsulated in its Consumer Technology Bill of Rights which can be found at http://www.digitalconsumer.org/bill.html. And it's not the only one. The Alliance for Digital Progress (ADP) is a coalition of businesses and consumer groups. ADP's mission is to convince Congress to reject the entertainment industry's call for government-mandated copy-protection technology. 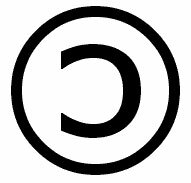 Furthermore, many digital consumers have just decided to use digital technology to completely bypass the copyright system by using a Creative Commons licence that has a much more flexible, collaborative approach to protecting the brainwaves of talented folk everywhere. So, when will the corporates realise that the new powerful digital consumer can not be pushed around anymore ? Probably when they start to listen to the views of modern marketeers who understand the issues involved. This blog aims to understand the new trends affecting the world of marketing. A fitting start to 2004 was provided yesterday by John Naugton of the Observer in his great column, 'The Networker'. It shows how much can happen in ten years, what exciting times we are living through and how much we have to look forward to. When it comes to technology he points out at we suffer from chronic near sightedness. We overestimate the short-term impacts of technology while underestimating long-term effects. "Last year marked the tenth birthday of the world wide web. So think back to 1993. John Major was Prime Minister. The Tories were a serious political party. Tony Blair still looked like Bambi. Nobody had an email address. A URL was a whacky thing that geeks knew about. Amazon was the name of a river in Latin America. Ryan Air was an obscure airline and the words eBay, Google and Napster hadn't been coined." "And now ? When was the last time you saw a business card without an email. Or a white van without a URL ? We now routinely use the web to do most of the things we used to do with directories and reference books. I can't remember when I last used a telephone directory. Ryanair is a ticketless airline. People 'Google' prospective dates before calling the taxi. Amazon is making a profit. eBay and Google have changed the world. 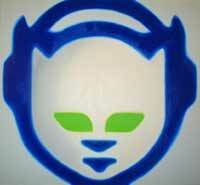 Napster's file sharing inhertiance has brought the record industry to its knees. "You get the point: none of know where this is headed and it would be fatuous to pretend that we did'. That is a very exciting view for those interested in how modern marketing is going to develop between now and 2014.